"Never Stop Falling"; guitars by Michael Thompson. "After The Tears Are Gone"; guitars and backing vocals by Brett Walker. "State Of the Heart"; guitars by Jan Kuehnemund. Paul Stanley ; uncredited background vocals on "Jump The Gun", which is co-written by Paul Stanley. 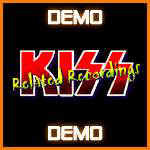 Paul Stanley and Geoff Lieb (= Jeff Paris real name) had originally written and demoed the song in the eighties, and included it on Paul Stanley's publishing tape. 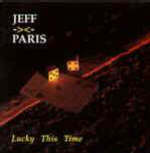 Note ; Jeff Paris is a well known songwriter, who wrote for Mr.Big, Vixen (female eighties Hard-Rock), and many others.